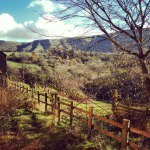 Overlooking the Black Mountains and only 4 and a bit miles from the Hay Festival main site, Maes y Lade provides a great location for Bed and Breakfast throughout the festival. View the facilities page on our website for more details on the centre. 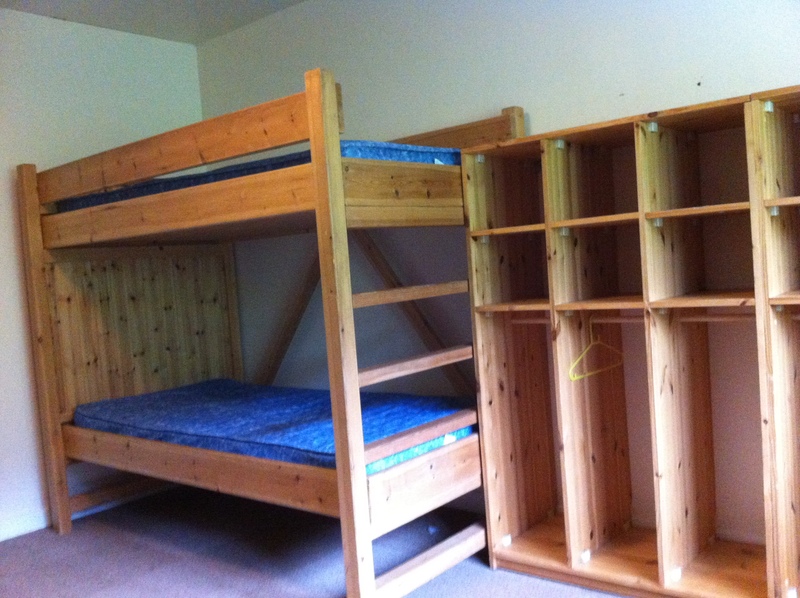 We have dormitory accommodation available with a mixture of single and bunk beds and a variety of room sizes dependant on the number in your party. The room sizes that we have available are: 1 bed, 2 beds, 3 beds, 4 beds, 6 beds and 8 beds. Bed and breakfast is included in the price at £36 per night, per person. Sorry no dogs on site. (e) number of people you wish to book for. 2. If there is space we will hold your booking and acknowledge it by return of email. The booking will then be held for seven days to give you enough time to make a payment by transfer or send us a cheque. 3. Confirmation of your booking will be acknowledged by email on receipt of payment. Refunds will only be made if cancellations are received 6 weeks prior to bookings. All beds are single mattresses and you will need to bring your own sheet, pillow and duvet or sleeping bag. There are shower and toilet blocks in both buildings. Rooms will be available from 2pm on the day of your booking and you need to be checked out of your room by 10 am on your day of departure. Rooms are not locked, but items of value can be locked away securely if you see a member of Maes y Lade staff. If there is the demand we will be operating a mini bus service to and from the main festival site three times a day at a small cost to users. Maes y Lade is owned and run by Essex Boys and Girls Clubs.